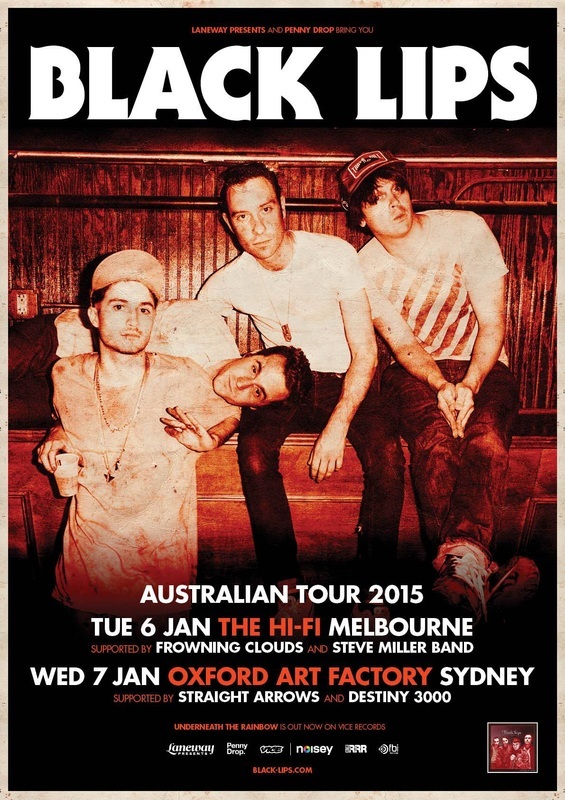 The Dirty South's finest rock n roll gang The Black Lips, have already been announced on the Falls / Southbound lineup for this year and today, it’s been confirm that they’ll be making headline appearances in Melbourne and Sydney. After a spring and summer running the usual festival circuit in North America and Europe, the Lips embarked on an extensive tour of the Middle East. Until then, the last known American band to tour in Egypt was The Grateful Dead in 1978. The Black Lips started things off in Cairo, then performed for audiences in Jordan, Lebanon, Iraq, the United Arab Emirates and Cyprus. Director Bill Cody chronicled the band’s voyage in a documentary named Kids Like You & Me. As Cody assembled his footage into the feature, the band returned home from the New Year's maelstrom and began settling into album mode. Songs had piled up over two years since 2011’s Arabia Mountain, "We went into the studio with about 80% of the record written," says bassist Jared Swilley, "which is a little more than usual for us. Joe (Bradley, drums) usually puts together all the parts for his songs on his own and Ian (St. Pe, guitar) writes a lot of his music. I like to make mine a little more collaborative, like Cole (Alexander, also guitar)." Recording for Underneath the Rainbow ("We were going to call it The Dark Side of the Rainbow, then we googled it and realized that's what they call that thing where you watch The Wizard of Oz while listening to Pink Floyd and it syncs up") was split between New York with Thomas Brenneck, who was recommended by Arabia Mountain producer Mark Ronson, and Nashville with the The Black Keys' Patrick Carney.